We’re back for our second Weekly Roundup of 2019! 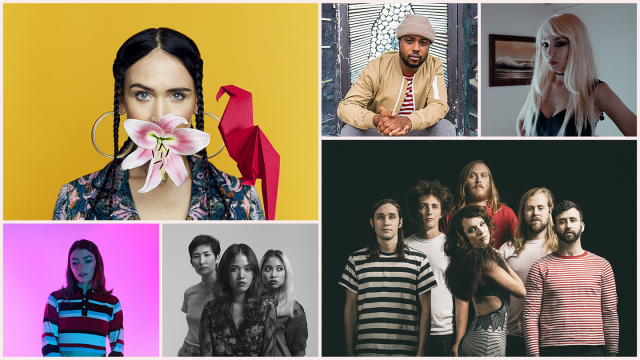 This week we’ve added 100 Showcasing Artists from 18 countries to the SXSW 2019 lineup. Artist additions include Americana sibling duo The Cactus Blossoms, Australian avant-pop artist Kirin J Callinan, Austin garage-rockers Sweet Spirit, and 5Towns Records alt-pop singer Anna Shoemaker. Canadian indie pop act Helena Deland, Austin-based rapper Kydd Jones, and buzzy Mexican R&B singer Fer Casillas have joined the lineup as well. Stay tuned for exciting showcase announcements in the coming weeks! Get lost in the music! Register to attend SXSW 2019 by the February 15 deadline to save $100 on the walk-up rate. Book your accommodations through SXSW Housing & Travel and you will save between 35%-50% using SXSW Housing’s contracted hotel rates compared to direct bookings and online travel agencies.